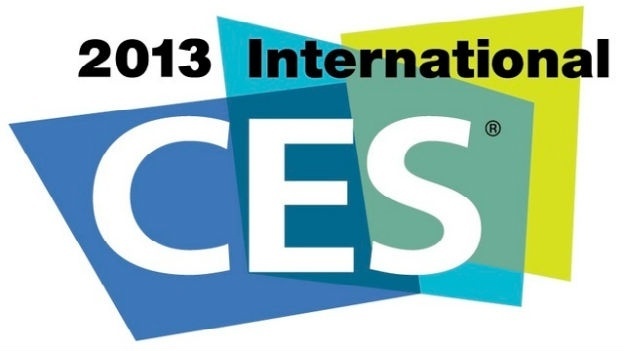 CES(Consumer Electronics Show), world's most popular & biggest tech trade show started today with a bang. As the first day of CES '13 comes to an end, it leaves us with bunch of gadgets & technologies to discuss about. Looks like this time every single gadget in trade show is showcased to be 'smart' - be it phones, cameras, TVs. Lets talk about the best that were displayed at the Day 1 of CES '13. The smartphone market is getting competitive day by day and what we experienced today at CES 2013, trust me there's a whole new world of technology is on its way. Intel demonstrated its new "Lexington" platform for smartphones, which has been designed for upcoming markets, bringing in lots of features such as dual SIM with dual standby, FM radio, microSD card slot & Wifi. Companies like Acer, Lava & Safaricom will be the initial ones to market these phones. Sony revealed it's much awaited Xperia Z & Xperia ZL smartphones. Check out the details here. Samsung too revealed its one more 'Galaxy device', Samsung Galaxy Grand. Check the details here. LG also displayed its new UI for smartphones with hand written memos, live zooming for running videos and lots more. They also focused on appliance connectivity through NFC or WiFi so that users can connect to their appliances. Imagine you are out somewhere with your family/friends and you get a call saying some guests are arriving to your house, now you easily communicate to your Vacuum Cleaner and tell it to start cleaning up before they arrive. Amazingly 'Smart' Right?!!? Not only this LG revealed VU II which features a 5-inch IPS display along with Optimus G that claims to be the world's first Quad-Core LTE-enabled smartphone powered with Snapdragon's S4 processor. When we think of an Android tablet what comes to your mind apart from nexus?? Samsung Galaxy Tab Right!! Samsung is showcasing its 4G LTE Galaxy Note 10.1 running on Android 4.1 Jelly Bean. Intel too announced the 10 OEMs are now making Atom-based Windows 8 Tablets which will be powered up with 1.8 Ghz dual core processors giving 10 hours battery life. iPad and Android tablets are surely gonna have a hard time when Windows enter the tablet market. Qualcomm also revealed two of its next-gen processors, Snapdragon 600 and Snapdragon 800. Check the details here. Talking about ultrabook, Intel announced its 4th-gen 'i' processors also known as 'haswell' processors. All haswell-based ultrabooks will be coming with touch-screen interface and voice based technology. Check out the details here. Coming to cameras, Again Samsung showed us its new NX300 mirrorless Camera with 2D/3D lens.They also showcased a compatible 45 mm f1.8 2D/3D lens that Samsung claims to be the first one-lens 3D system capable of capturing both stills and HD video. Wow! Samsung NX300 also comes with Wifi connectivity and a hot-key for one-touch sharing of images. Wait.. how can we miss out Sony?? Sony announced Cybershot WX80 which is also Wifi enabled and can share directly from the camera to a smartphone or a tablet. It has a built-in projector. Sony will also be showing the first 4K consumer camcorder prototype. Sony will also be demonstrating world's first 4K consumer camcorder prototype. Samsung revealed its flagship LED TV F8000, available at a maxx of 75 inches. HUGE!! These new TVs are powered up with a Quad-core CPU with redesigned 'Smart Hub' which Samsung claims to be faster than before. If you own a 2012 model, then Samsung's gonna provide you with 'Evolution kit', a small box that plugs into your existing Smart TV, giving you all these new features. Panasonic spoke about its upcoming "my Home Screen" feature, which offers a customized menu for 2013 Smart TVs. Another eye-catching thing was the HSN (Home Shopping Network) Shop by Remote app that lets users buy stuffs directly from their TV. If you think 75 inches is huge.. you've have seen nothing!! LG is out with a 100-inch Mega Smart TV, which will be available for users to purchase very soon. LG's new series of 4K TVs will be way smarter with its 2.2 channel sound and Cinema 3D. LG is currently working with companies like Activision, Google and Disney to produce more 4K stuff. The new LG magic remote has been re-designed to understand "human" language so you can speak naturally and not like a robot with the voice control functionality on the remote. LG is also demonstrating Google TVs and 3D TVs. Sony came up with something innovative for users, which involves watching TV with multiple screens at once. You can also like us on Facebook or like us on Twitter to keep yourself updated with tech news. Apple T.V Now Available In India For Rs 8,295 !! How To Hide A Drive In Windows !! CES '13 : Oven That Runs On Android!! CES '13 : The World's thinnest watch !! Samsung Galaxy Camera,Is it worth it ? Samsung Galaxy S IV - Is This The One?? 10% Jelly bean devices !! Game over PlayStation 2 ! !